If you have a small business yourself, we all know that it’s a necessity to have a small business website in order to thrive in this competitive market. In fact, statistics shows that 7 out of 10 customers search online first to look up for information on a local business. 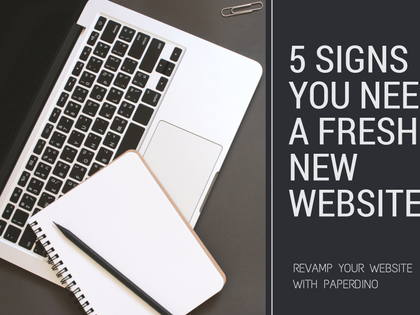 So, if you want to be ahead of the game, here are 5 Must-Haves Features for your Small Business Website. Clear and concise navigation bar on top of the page. A happy customer is one that comes to your website and manages to navigate through the site easily to find what they are looking for. That’s why it’s vital to have a clean and easy navigation bar with clear website features at the top of every page. 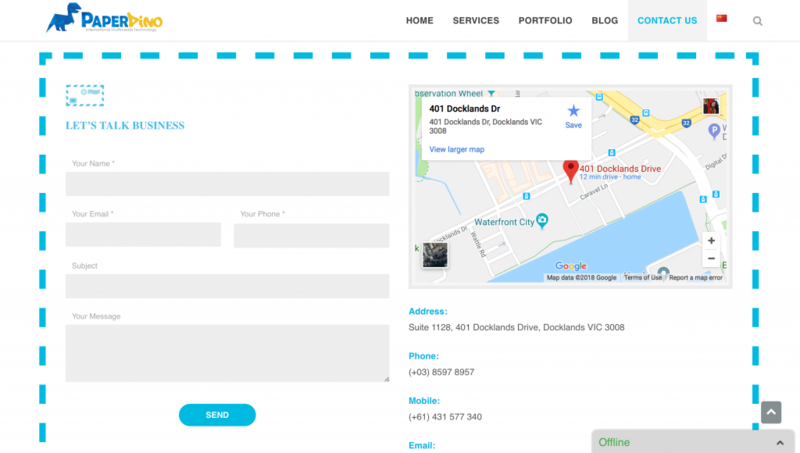 If you look at the image above, the options in Paperdino’s navigation bar are clearly stated, including : Home, Services, Portfolio, Blog & Contact Us. Be customer-focussed. Think about where a customer should go if they need to contact customer service or what will they do on a specific page. On designing site navigation, try to view things from a customer’s point of view and make it as easy as possible for them. SEO or Search Engine Optimisation is important for any small business website. If SEO is done well, users who are searching for services or products like yours will be able to find your business in the search results, based on relevance to search terms. 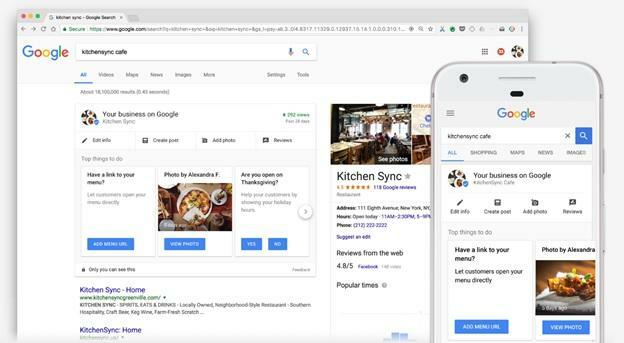 Since your website is for a small business, focus more on boosting local SEO, so that when users look up for similar businesses within your service area, your website will show up. Nothing can replace a good Call To Action (CTA) on your website. You need to encourage visitors to take action after visiting your website. However, a mere “Submit” or “Price Quote” button isn’t enough to convert users. Instead, the CTAs on your website should elaborate on your value proposition. Describe the value users will get by taking the action you want them to take, such as “Sign up to learn the secrets of being productive at work with less effort” or “Use the smartest way to get around with Uber”. One thing to keep in mind for your small business website, is to have responsive design that is mobile friendly. Currently, almost 60% of all website traffic comes from mobile devices and tablets. 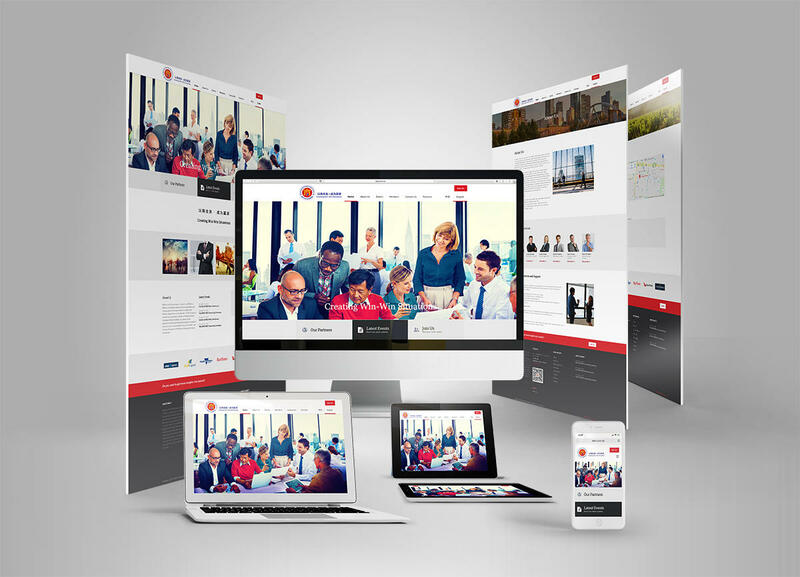 With the growing likelihood of customers viewing your website from a mobile device, it’s vital to have a responsive website design that automatically adjust to screen size perform great on screens of all sizes. The case study below is a clear example of how Paperdino designed an interactive and responsive website for Chefavour, that looks great on all screens, be it tiny smartphone screens, medium-sized tablets, or giant desktop displays. 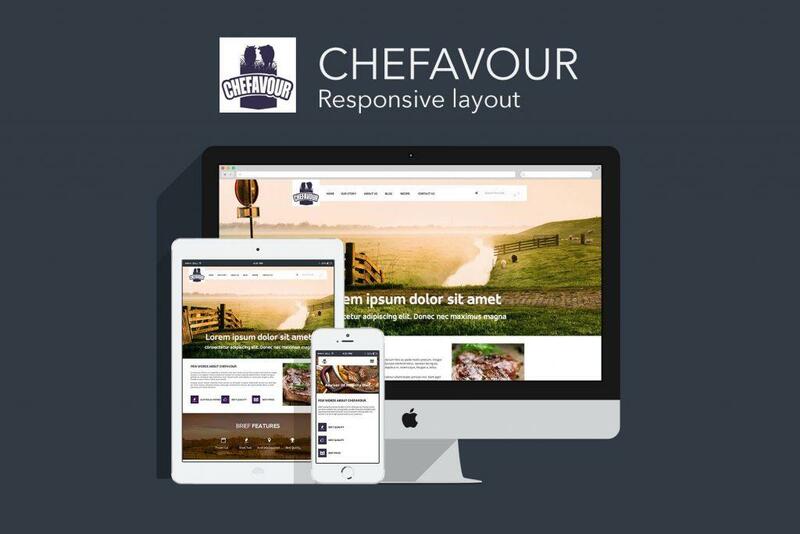 Responsive website design for Chefavour, done by Paperdino. 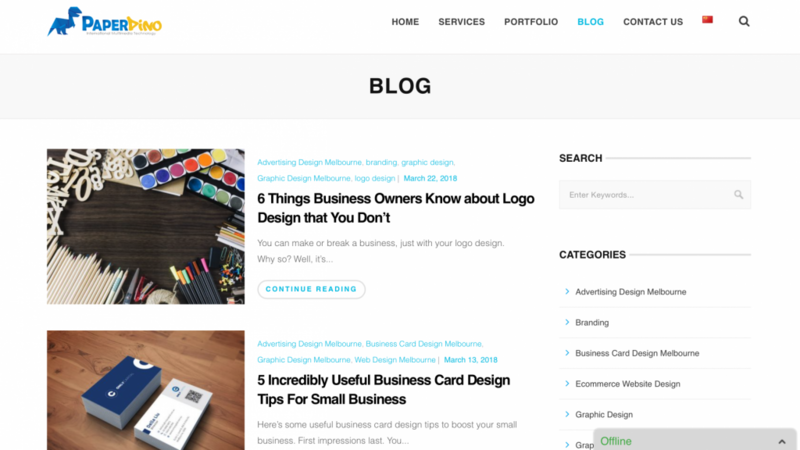 Nothing beats having a blog page for your website since it provides free quality content for your customers. With a blog, it’ll drive traffic to your site, possibly convert those visitors into buyers and establish your authority as an expert in the field. A few things to keep in mind to optimise blog platform. Update often! At least once weekly, and Google will reward you for your constant updates. 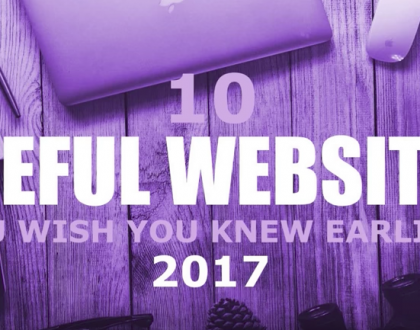 To sum up, these are some key elements to having a great small business website. 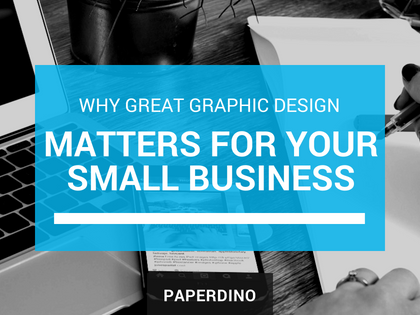 If you need help in setting up a website that stands out from your competitors, Paperdino can help you here.